As Rob Kearney would tell you himself, the Leinster fullback plays better when he gets a run of games.  2018 was the first time since Simon Zebo's Ireland debut, in 2012, when Rob Kearney was away from the spotlight and the team selection debates. The No.15 jersey was his and he was doing well in the blue of Leinster and green of Ireland. He had a fine run-in to the 2017/18 season and added three more trophies to his impressive playing CV. SportsJOE spoke with the 32-year-old at the beginning of 2018/19 and asked what is was like not to hear his name in so many team debates. "It was nice," he remarked. "Last year, for me, was particularly pleasing. We played so many games and I was injury free. I got a great run. When you're fit and you get a great run of games, obviously your form is going to pick up too. More of the same would be nice." Kearney was tipping along nicely this season until he was injured on his fifth appearance of the season, against Treviso. He returned for the Guinness Series clash with New Zealand, taking the 15 jersey from Jordan Larmour, and was crucial in Ireland securing their first ever home win over Steve Hansen's side. 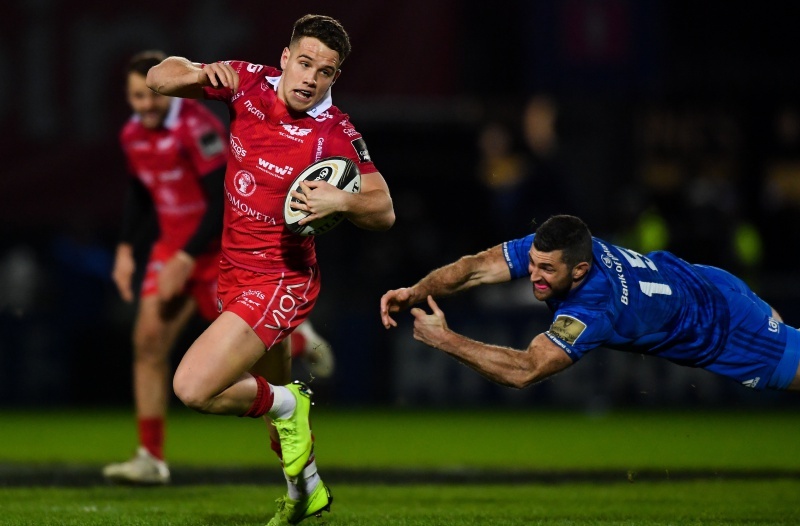 Following that game, on November 17, he only managed another 144 minutes (two starts) for Leinster up until his return against Scarlets at The RDS on Friday night. Kearney captained a much-changed Leinster side to a Guinness PRO14 victory over Scarlets but he looked rusty in the opening 20 minutes. He missed a couple of tackles, early on, with scrum-half Kieran Hardy leaving him clutching fresh air at one stage. Leinster won 22-17 in Dublin to stretch their Conference B lead but, as a team, they missed 30 tackles over the course of the night (84% tackle success rate). Of the starting Leinster XV, only Ciarran Frawley and James Tracy, who combined for 22 tackles, missed none. As fullback, and very often the last line of defence, Kearney's missed tackles do not make for great viewing. If he fails to stick a hit or at least slow down the attack, the attacking side can do a lot of damage. So it proved with the first Scarlets try of the night when Scarlets flanker Dan Davies beat Kearney on the outside before passing to Hardy for a handy score. Great break from Dan Davis sets up Kieran Hardy . Kearney will have been disappointed by that and, it must be noted, he was quiet in an attacking sense. He did make one clean break but he only made four carries (24 metres gained) and knocked on after a nifty Rory O'Loughlin offload. Ireland head coach Joe Schmidt will have been watching that Leinster game closely. 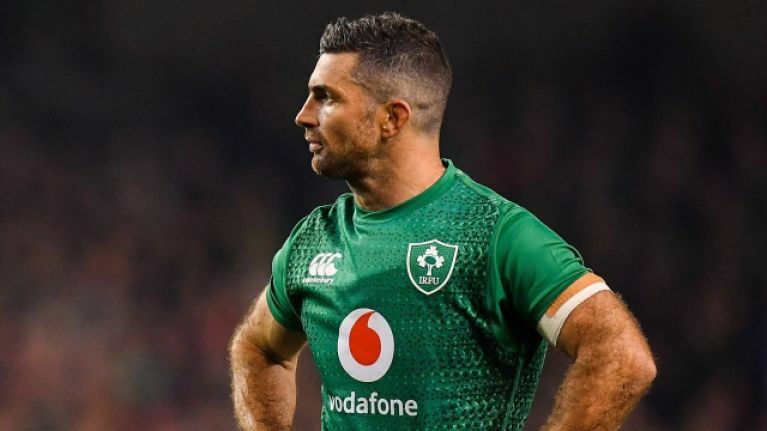 He has four other fullback options in his squad for the Guinness Six Nations opener against England - Will Addison, Jordan Larmour, Robbie Henshaw and Andrew Conway - but we suspected Kearney will get the starting nod. Ireland like to fill their defensive line and often leave Kearney, and occasionally one winger, covering the back-field. His defensive awareness and positioning is second to none and was highlighted again in that All Blacks victory. Assuming Kearney gets to, in his words, borrow the 15 jersey, that leaves only two positions up for grabs in the Irish XV. Schmidt has a big call to make over who starts at openside and inside centre. Former Ireland captain Brian O'Driscoll suspects Ireland will go with Robbie Henshaw and Garry Ringrose in midfield, meaning Bundee Aki would miss out. As for the No.7 jersey, we feel Sean O'Brien will get in ahead of Josh van der Flier. Schmidt will name his Ireland team to face England on Thursday, January 31.